Ajax powered WordPress themes loads the post content without reloading the web pages. 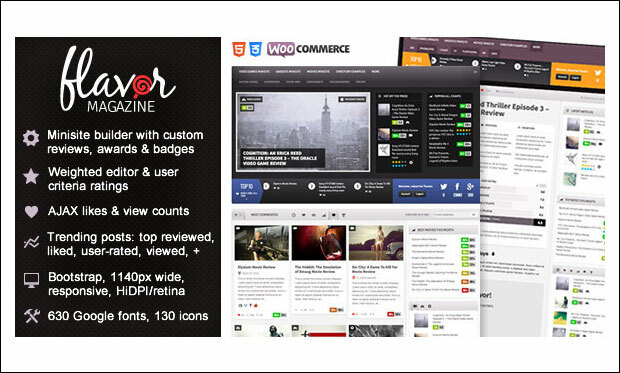 These themes come packed with a wide range of features to meet your website requirement. Install any of these premium WordPress themes to include the real magic of Ajax on your website. The responsive layout of these themes are optimized for devices of diverse screen resolutions such as iPhone, iPad, tablets, PC, laptop, android, BlackBerry and smartphones. These Ajaxed WordPress themes are also optimized to improve the page speed and offer visitors a great navigating experience to different posts, gallery images, portfolio, contact forms etc. 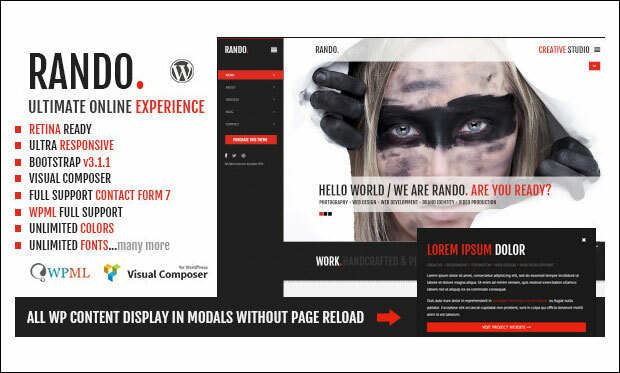 Now, have a look at the Top 55 AJAX Powered Responsive WordPress Themes. Prism is the fully responsive Ajaxed wordpress theme that helps in creation of the personal or agency portfolio with great animations and special features. It os feature bundled and has every feature that helps in easy creation of the website. 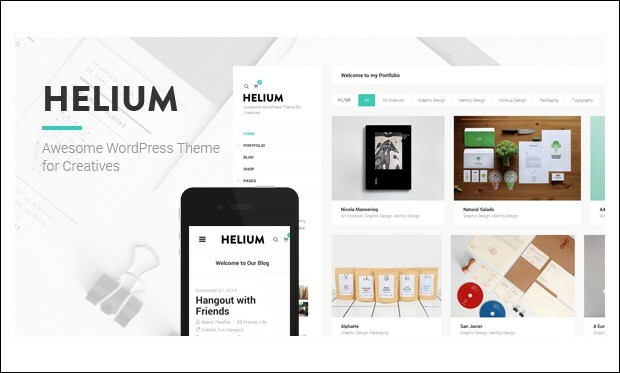 Helium is the awesome ajaxed wordpress theme for creatives and bloggers who want to showcase their content in an effective way. It is featured with three different portfolio layouts, a beautiful blog and backed by a robust AJAX navigation system. 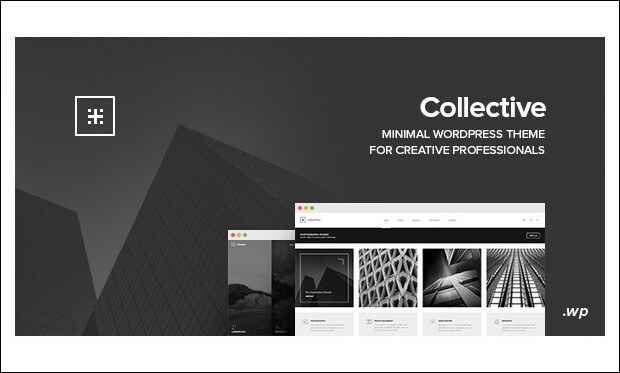 Collective is the minimal ajaxed wordpress theme that is designed for creative professionals to easy create their user friendly websites or portfolios. It has some of the best features that help in creating the excellent website. 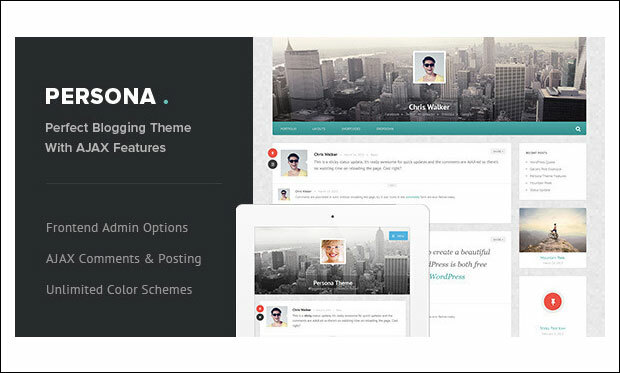 ROUA is the is the modern and responsive wordpress theme that is ajax powered for freelance artists and creative agencies. It’s AJAX portfolio allows the users to easily access your site with an ease. It is feature packed with all the advanced features for developers to easily create the website. 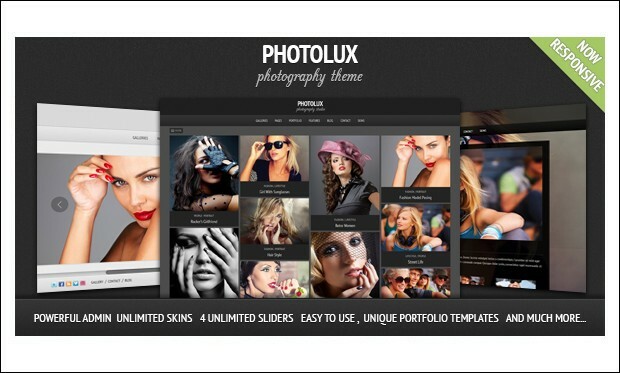 Photolux is the perfect ajaxed portfolio and photography wordpress theme that is best suited for photographers and creatives to showcase their work. It is packed with tons of options and features which allow the users to easily create their website within minutes. 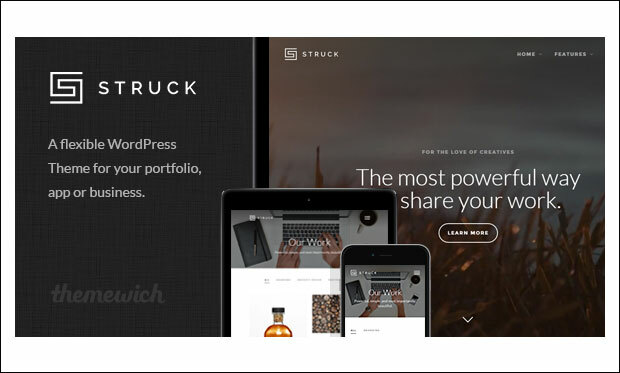 Struck is a beautiful WordPress theme designed for photographers, designers and agencies to help them showcase their projects. Get started with your own site by installing the demo content in a single click. This theme features Ajax dynamic loading to provide visitors consistent viewing experience on their android devices. It is search engine optimized, mobile optimized and translation ready. 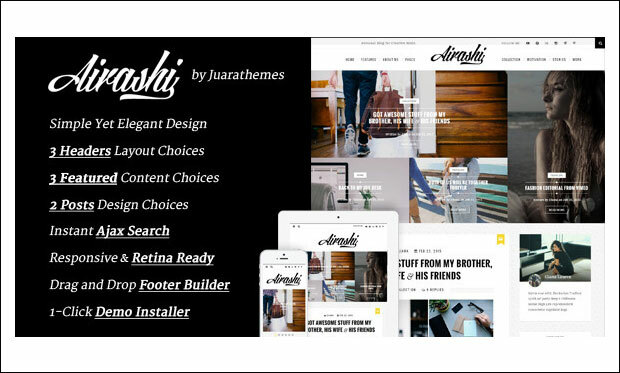 Airashi is responsive and retina ready WordPress theme with great typography options. This theme is suitable for creating blogs in a simple and professional way. Key features of this theme are instant Ajax search, drag and drop footer builder, page templates, 3 featured content choices and custom widgets. It includes multiple post formats for inputting data related to quote, image, audio, video and gallery. 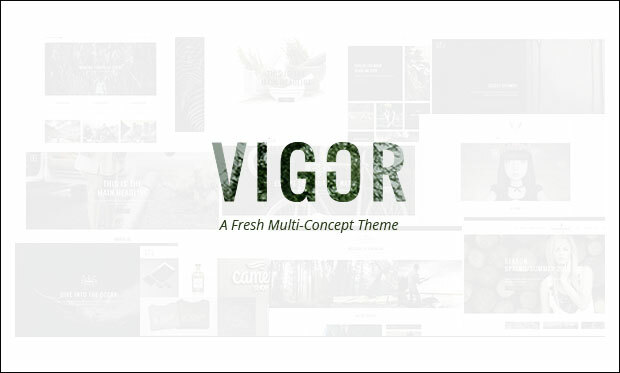 Vigor is a modern multi-concept WordPress theme that comes packed with easy to use features. It includes visual composer for creating unique page layouts by simply dragging and dropping the interface. This theme supports integration of WooCommerce, Contact Form 7 and WPML multilingual plugins. It features 40+ shortcodes to improve the functionality of the site. 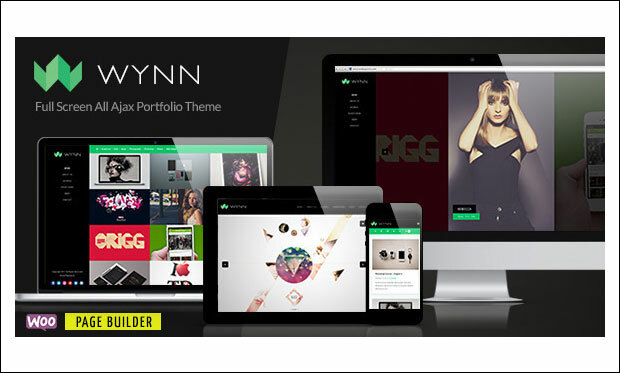 Vigor has portfolio slider, blog slider and layer slider to attract the visitor’s attention. 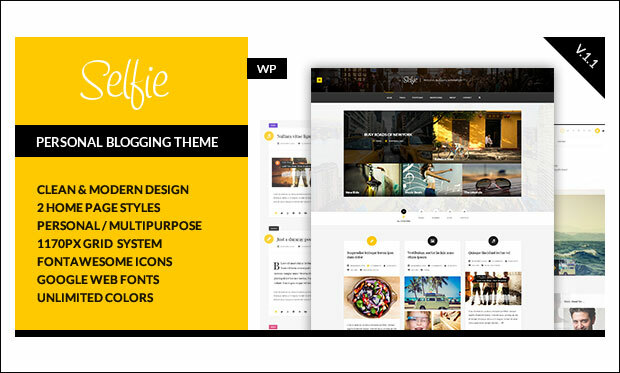 Selfie is an attractive personal blogging WordPress theme featuring clean code and documentation. This theme is well suited for building blogs and personal websites. Design your site by using white and dark header styles, font awesome vector icons, Google web fonts and unlimited colours. It is well documented to help you easily get started with your own site in no time. Profy is an Ajax powered portfolio WordPress theme designed for those who want to display their projects in a clean and simple way. Due to its minimalistic design, this theme offers visitors a remarkable viewing experience without any sort of distractions. It is translation ready to help users setup a multilingual website to reach out people from all over the world. 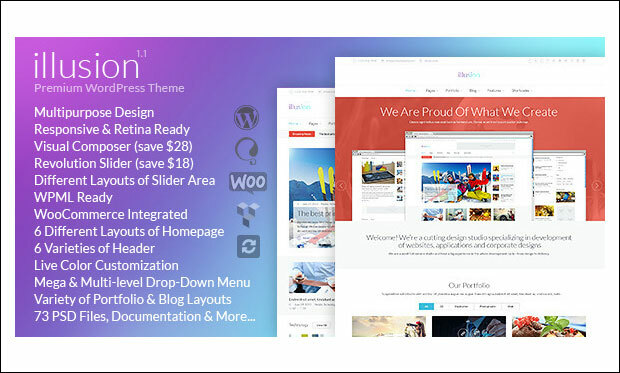 Illusion is a multipurpose WooCommerce WordPress theme that features responsive and retina ready layout. This theme is based on bootstrap 3 framework and coded with valid HTML5. It is mainly designed for creating online store websites with ease. Key features are Ajax list and grid view for category pages, Ajax dropdown shopping cart and catalog filter, Ajax wishlist, revolution slider and live colour customizer. It’s a stylish multipurpose live editing WordPress theme from Theme Forest. This theme is built on canvas framework and features 16 full concept demos to help you build your own site easily. It allows you to customize various aspects of the theme and have a live preview of the changes made to it. The Canvas theme has full support for child theme and WPML multilingual plugin for translating the content to any language. 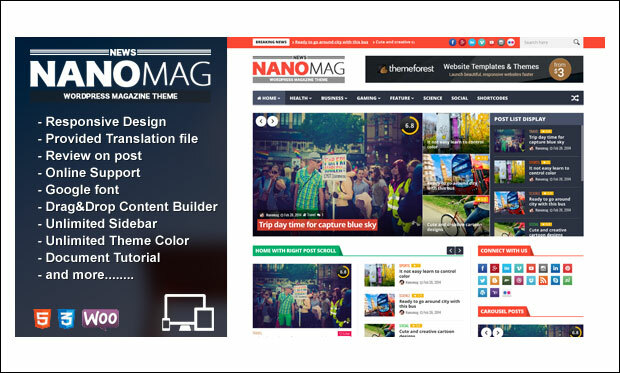 NanoMag is a responsive magazine WordPress theme that looks and works great on iPhone, iPad, desktop, laptop, smartphones, tablets and mobile devices. 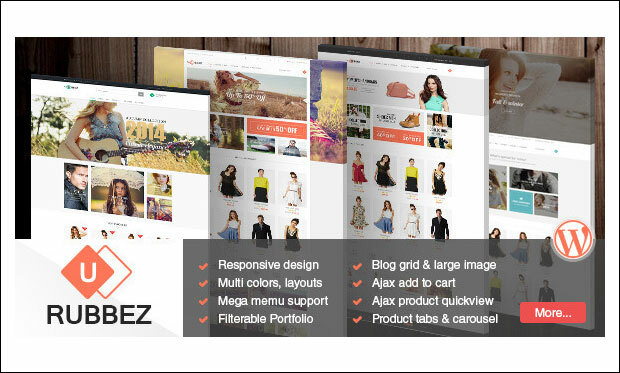 It features 20 block drag and drop content builder and page builder for building unique page layouts to display content. This theme offers lifetime free updates to keep you notified with latest theme information. 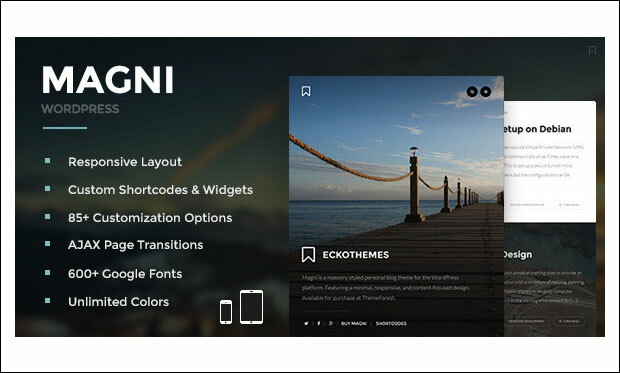 Magni is a clean WordPress blog theme with Ajax page loading transitions. This theme looks sharp and pixel perfect on PC, laptop, smartphones, tablets, android and mobile devices. 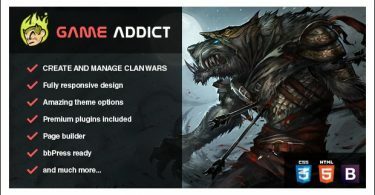 It has 85+ theme customizer options for customizing the theme without touching any coding line. It is coded with valid semantic markup languages for optimizing the site on Google, Bing and Yahoo search engines. Maze is a creative agency portfolio WordPress theme that comes packed with essential features for easy creation and customization of the website. 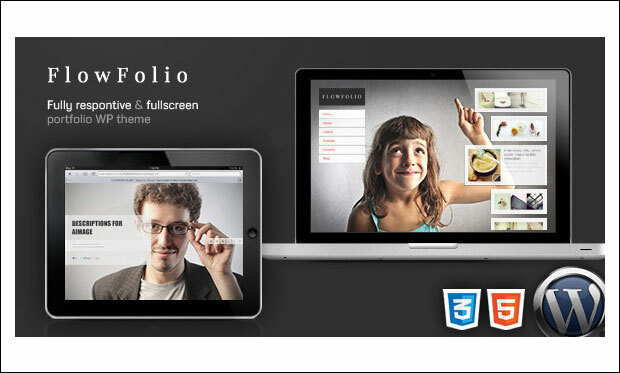 This theme is built on bootstrap framework and features rich option panel and HTML W3C valid code. It includes Ajaxed contact form to establish interaction between website owners and visitors. Maze offers unlimited theme updates and lifetime support for solving the potential queries of the users. Bokeh is an Ajax powered WordPress theme designed for creating photography, blog and portfolio websites. It includes advanced theme options for customizing each and every section of the site in a user friendly way. Give your site a unique look and feel by choosing from light and dark versions. This theme provides visitors a smooth browsing experience on their desktop, laptop, tablets, smartphones and mobile gadgets. Vela is a stylish business multipurpose WordPress theme that provides Ajax page transition effects. This theme comes jam packed with a wide range of features to help users with easy creation and customization of the site. It is built-in with SEO best practices in mind to reduce bounce rate and improve site ranking on Google, Bing and Yahoo search engines. 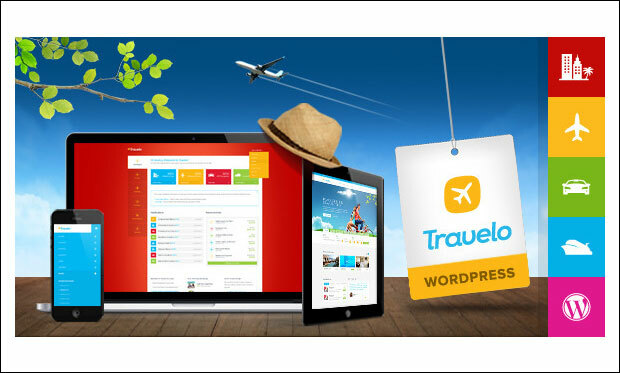 Travelo is a responsive booking WordPress theme that looks fabulous on any screen sized device. It includes 55+ useful shortcodes to improve the overall functionality of the website. 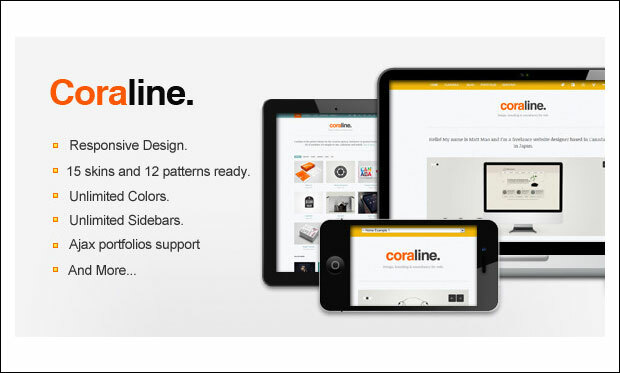 This theme offers premium support and updates to its users for lifetime. Key features are Ajax pagination, Ajax photo gallery and map popup, user friendly theme options panel revolution slider and layer slider. It’s an elegantly designed WordPress theme suitable for travel, corporate and online store websites. Rubbez is coded with HTML5 and CSS3 techniques and built on bootstrap framework. Design your site by choosing form 6 unique layouts, unlimited colours, header styles, footer styles and 5 colour presets. Customers are allowed to choose their desired product and add it to the Ajax cart for buying it online in a successful way. 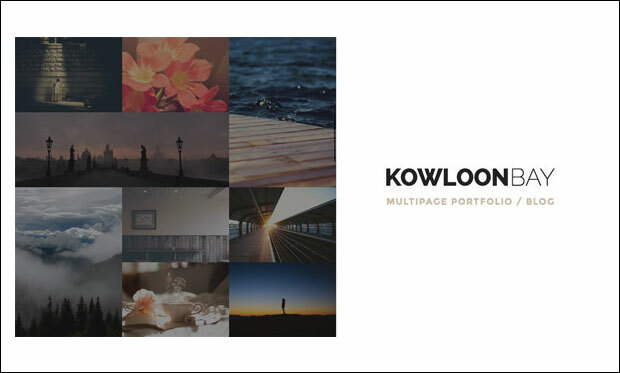 KowloonBay is a beautiful portfolio and blog WordPress theme that is powered by bootstrap 3 framework. It includes working contact form to enable visitors’ to send messages, issues or feedback by filling up the simple form. It supports 8 different blog post formats for inputting data related to standard, audio, video, gallery, image, link, quote and status. 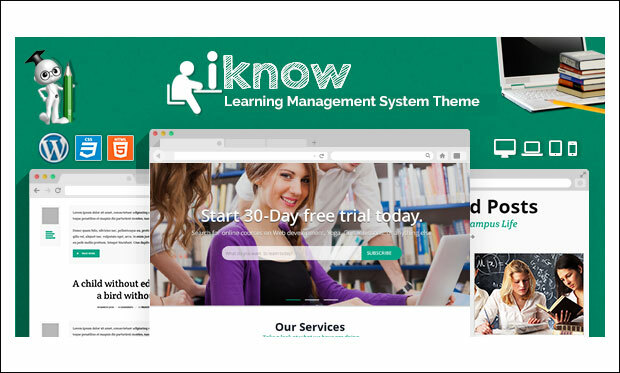 iKnow is a beautiful Learning Management System (LMS) WordPress theme from Theme Forest. It features Ajax login and signup form with captcha to enable students to register and login into the site. 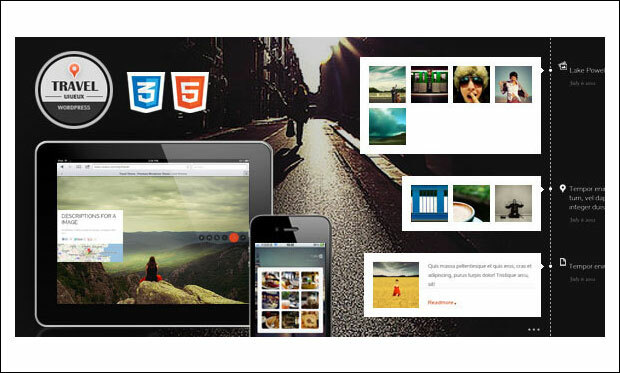 This theme includes valid HTML5 code to help users edit or update the code if required. It is translation ready and compatible with WPML plugin for translating posts, pages, menus and widgets to other languages. ColorUp is modern Ajaxed powered WordPress theme designed to load posts dynamically without wasting any visitor’s time in redirecting of the web pages. This responsive theme is suitable for creating blogs since it features clean layout and allows readers to mainly focus on the content with no distractions. You can customize the theme settings to match your style with the help of theme customizer with live preview window. 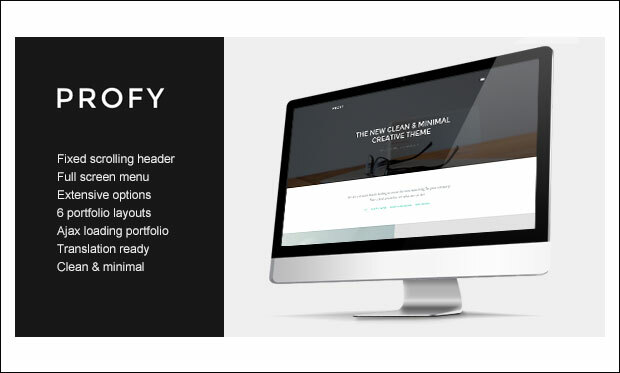 Slupy is an elegant multipurpose WordPress theme that features responsive and retina ready layout to make your website look sharp and pixel perfect on iPhone, iPad, PC, tablets, smartphones and laptop. It features Ajax blog and portfolio pagination to provide visitors a smooth viewing experience. By using revolution slider, you can display any type of content with custom animations and transition effects. It supports integration of WooCommerce for selling products online. 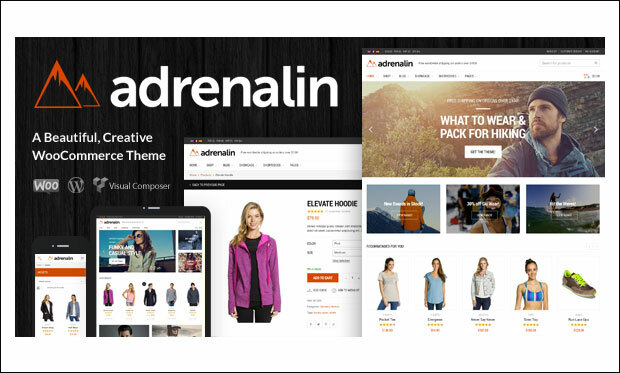 Adrenalin is a creatively designed WooCommerce WordPress theme especially designed for creating online store websites. It features Ajax filters and Ajax product search to help visitors easily search for desired products without waiting for long time. You can easily install and setup this theme by using detailed documentation and step by step video tutorials. It is child theme friendly, WPML ready and RTL ready. Helium is clean and simple WordPress theme that comes loaded with robust Ajax navigation system. This theme is designed for bloggers and creative professionals to help them quickly build their own site. It includes one click demo content importer for importing posts, pages and widgets instantly. It supports integration of Easy digital downloads for selling digital items over the web. Design your site by changing colours, headers and 600+ Google web fonts through live customizer. 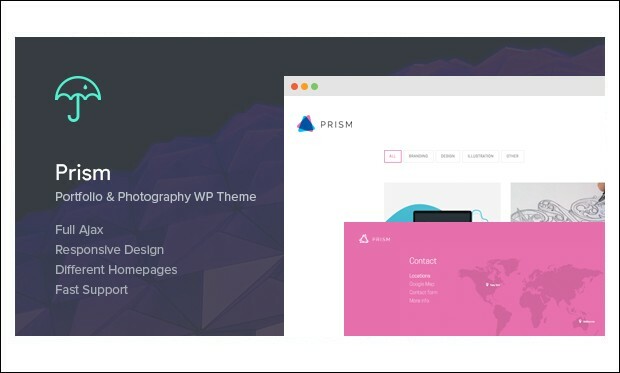 Prism is a fully Ajaxed WordPress theme designed for creating agency or personal portfolio websites. Start building your own site by installing this theme and importing the demo content in few clicks without any coding knowledge. It is built on bootstrap framework and coded with HTML W3C valid techniques. You can integrate Google map or custom vector map into your site to display locations with driving directions. 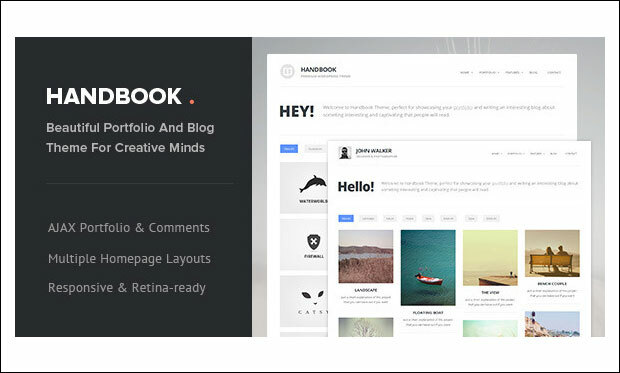 It’s a simple yet stylish creative WordPress theme suitable for creating blog sites. Sleek theme allows you to enable or disable the Ajax navigation feature. This theme is SEO optimized to improve your website ranking and appearance on Google, Yahoo and Bing search engines. It supports Google analytics, Right to left (RTL) languages and child theme. 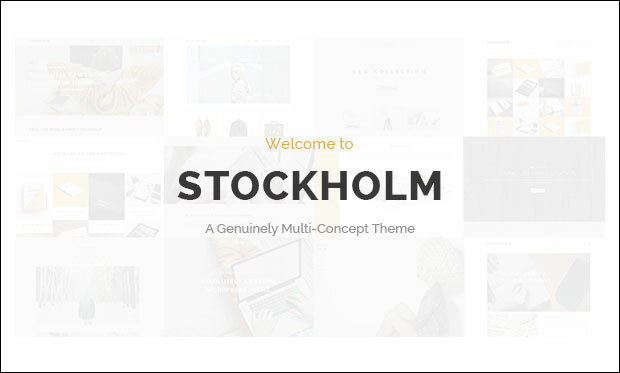 Stockholm is an amazing multi-concept WordPress theme designed to grab the visitor’s attention with its beautiful layout. Change each and every element of the theme using user friendly admin panel. 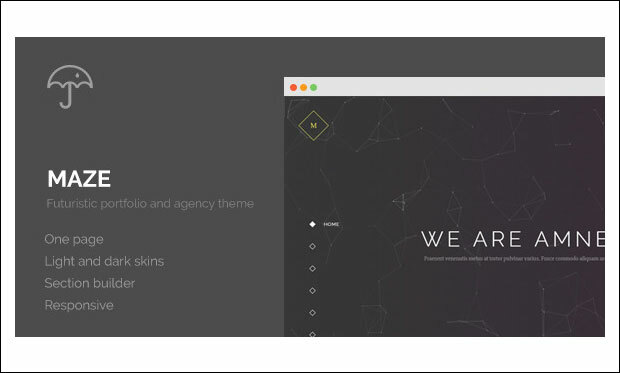 Based on KODDE framework V3, this WordPress theme is suitable for building portfolio and business websites. Your website gets loaded faster due to its Ajax loading feature. Impress your visitors by uploading stunning images on the fullscreen slider. This theme is compatible with All on One SEO Pack, SEO by Yoast, qTranslate, Contact Form 7 and Gravity Forms plugins. 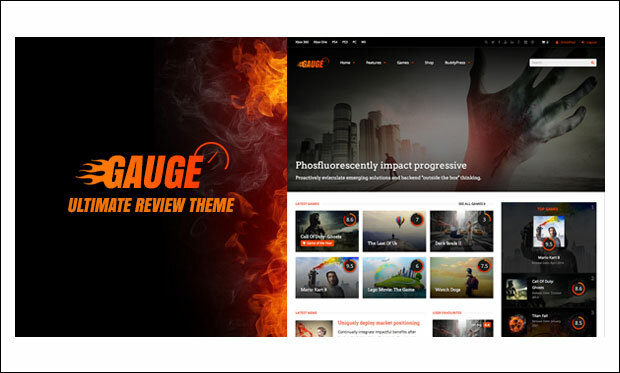 It’s an ultimate review WordPress theme mainly designed for creating an extensive review website for showcasing reviews related to food, movies, games and so on. The theme is based on redux framework for enabling users to highly customize the site and have a live preview of the changes made via WordPress customizer. Ajax filtering is a key feature of this theme that can be used for sorting posts, reviews or pages without reloading the web pages. 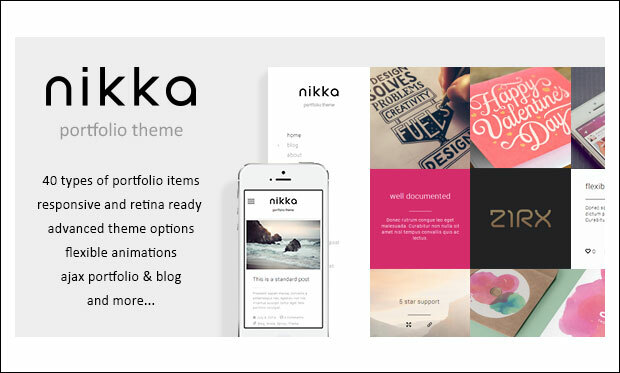 Nikka is beautiful and modern portfolio theme that is compatible with WordPress 4.0. This Ajax powered theme is suitable for collectors, creative agencies and artists to display their work in a professional way. Design your site by choosing from 40 unique types of mosaic layouts, 1200+ premium icomoon icons and 2 blog layouts. It supports localization and popular web browsers. This advanced Ajax powered WordPress theme is built on twitter bootstrap framework. You can easily install and setup the theme via screen cast quick tutorial. Flavor theme is compatible with BuddyPress and WooCommece plugins. Due to its responsive and retina display ready, this theme looks sharp and pixel perfect on all devices. It includes content carousels and sliders to improve the appearance of the website. 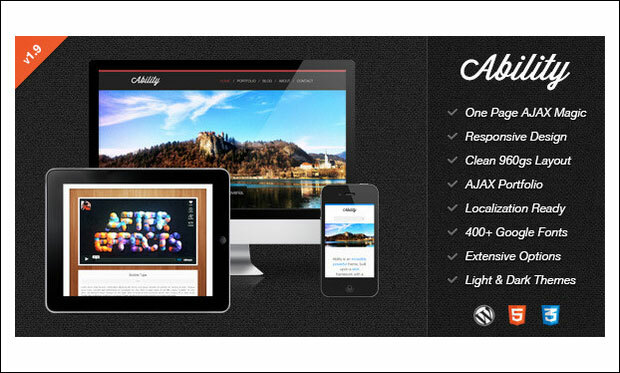 It’s a clean and elegantly designed Ajax WordPress theme that looks stunning on all screen sized devices. 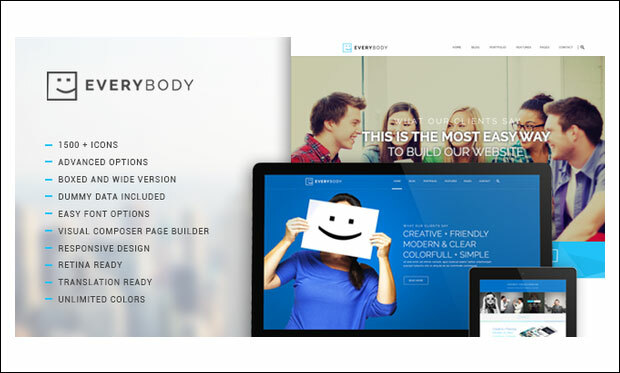 This theme is suitable for start-ups, freelancers and agencies to help them build their own site in no time. By using advanced customizer, you can alter layouts, background images and colours and preview the changes made in real time. Handbook is ready for translation to other languages. This Ajax responsive WordPress theme comes loaded with lots of useful features to help you with easy creation and customization of the website. It includes Ajax or PHP contact form to help users submit their queries privately to the website owners. Design your site by choosing from 12 predefined patterns and 15 skins. It includes .po and .mo files for translating the theme to any other language. If you are in search of a fullscreen WordPress theme to showcase your portfolio or photography work then this theme would be an ideal choice for you. Get started with your own site with the help of powerful shortcodes and visual page builder. This theme is SEO friendly for enabling search engines to quickly crawl and index your website. Photojax is a minimalistic designed WordPress theme for photographers, architects, graphic designers and other professionals. It lets you choose from light or dark skins and customize other elements of the website using buttons, alerts, pricing tables etc. Due to its responsive design, the theme perfectly adapts to devices like desktop, laptop, tablets, smartphones and android devices. If you want to build one page portfolio website then Ability WordPress theme would be the perfect solution for you to consider. It is SEO optimized for allowing various search engines to crawl and index your web pages. Ability theme features 960 grid system, shortcode generator, 400+ Google fonts, 7 widget areas, 3 custom widgets and 19 preset portfolio backgrounds. 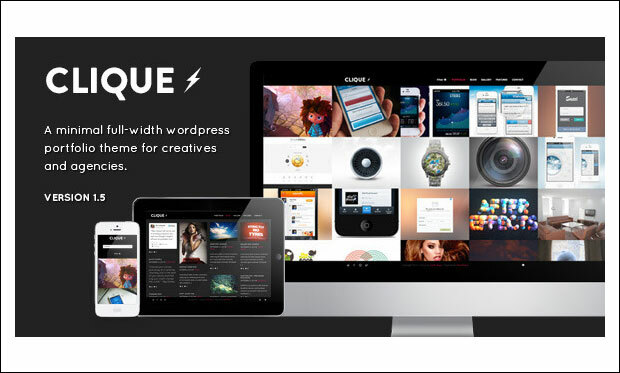 Clique is an awesome Ajax powered WordPress theme mainly designed for creative and digital agencies to help them build their own site in no time. This theme is optimized for various search engines to improve the ranking and appearance of the website. You can change each and every aspect of the theme to match your needs. 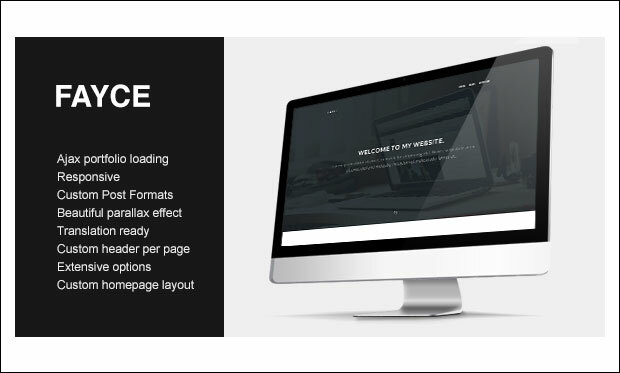 Fayce is an Ajax loading WordPress theme designed for creating portfolio website. You can beautifully display your portfolio work along with projects in a clean way. 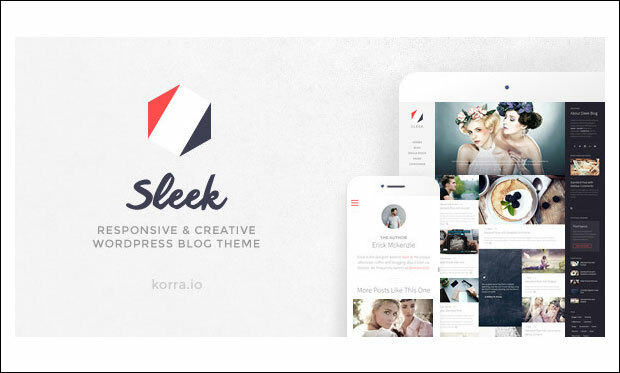 Impress your visitors by downloading this responsive theme for $38. You can upload logo, favicon, change colours, enable or disable Ajax loading and enter social icon links through WordPress customizer. You can import the demo data including posts, pages and other elements in a single click. It features Google maps to provide visitors with driving directions of the location. 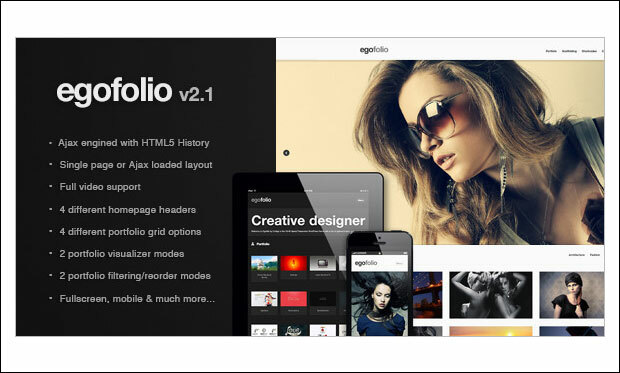 Egofolio is a stunning Ajax WordPress theme that will perfectly adapt on devices of different screen resolutions. Make your site stand out from the crowd by selecting from 4 portfolio grid options and 2 unique colour schemes via backend panel. It is based on font awesome and twitter bootstrap framework. This theme allows you to embed videos from different sources like YouTube, Vimeo or self hosted. 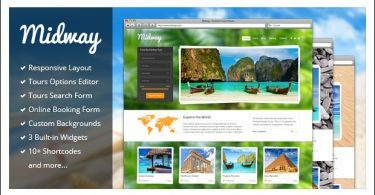 Travel is a fully Ajax powered WordPress theme from Theme Forest. This theme is suitable for creating travel logs, photography and portfolio sites. Visitors can easily access and view the content without reloading the web pages. It is tested to run well on iPhone, iPad and android devices. It includes .po file for translating the entire theme to any other language. If you are in search of a best WordPress theme for your blog or portfolio then Persona would be an ideal solution. You can upload images, videos, links, quotes, gallery or status in standard or Tumblr like format. Persona theme lets you change background image, header or colour scheme from the frontend. You can include social and advertising icons like Pinterest, Vimeo, YouTube, Sound Cloud, Flickr, Facebook, Google+, Instagram etc. This minimal and clean WordPress theme comes with a filterable Ajax powered multimedia gallery to highlight your work. 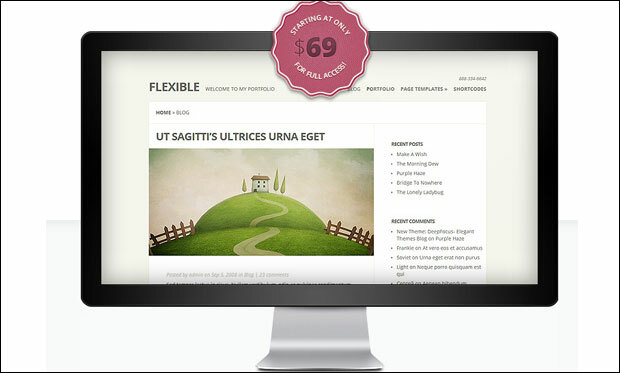 Design your site by using unlimited combinations of backgrounds, custom colours and fonts. Flexible theme is compatible with major browsers like Google Chrome, Firefox, Opera, Safari and Internet Explorer. Users are provided with unparalleled support by the dedicated staff members. John Smith is an attractive Ajax powered portfolio WordPress theme designed to grab the attention of the visitors towards the site. Customize the website by using live colour changer, font style changer and size changer. Visitors can touch, swipe or tap on the sliders from tablets, smartphones and android devices. If you encounter any issue while installing the theme then the detailed documentation can come in handy. 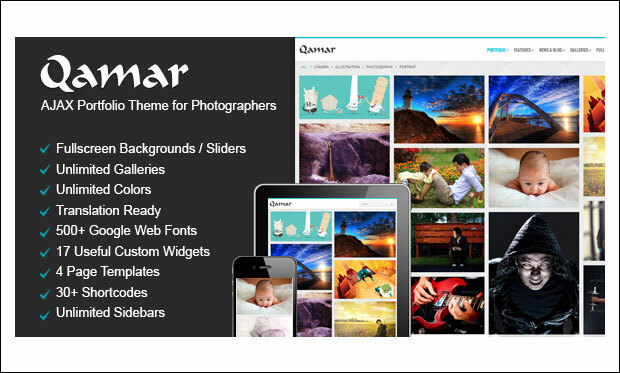 If you are a photographer on look out for a best WordPress theme then Qamar would be the right choice. This theme also works great for agencies and creative freelancers out there. 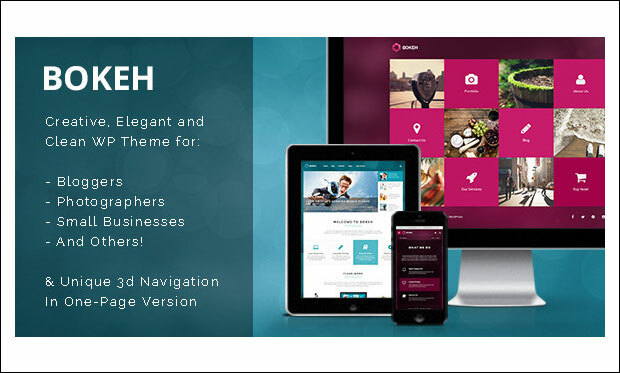 Qamar theme includes 30+ shortcodes to improve the functionality of the website. You can add any content on website by using different post formats like standard, quote, link, image, aside, galleries, audio and video. 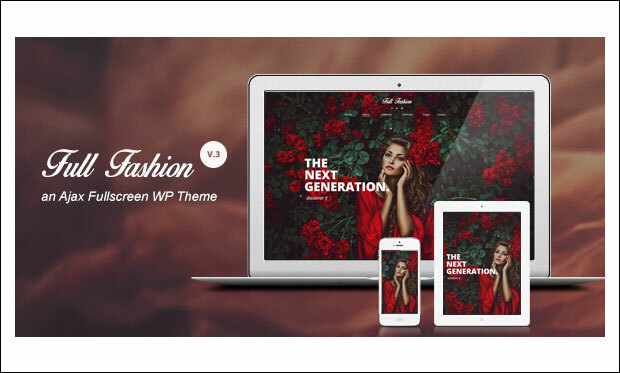 Full Fashion is an Ajax powered WordPress theme especially designed for photographers to help them showcase their photography work beautifully. This theme comes with a fullscreen background video and gallery slider to draw visitor’s attention towards the site. It is coded with HTML5 and CSS3 techniques and uses the latest jQuery library. It is ready for translation to English, Romanian and Russian languages. 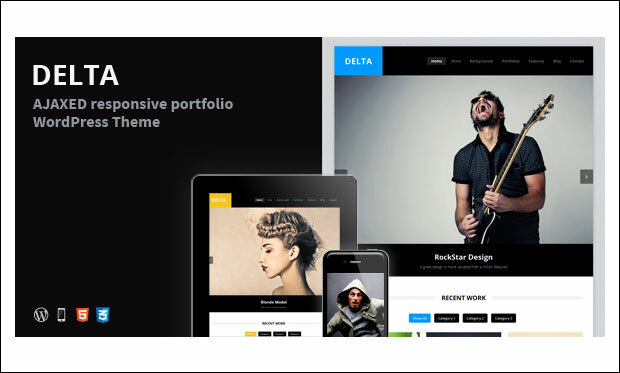 Delta is an elegant WordPress theme perfectly designed for agencies and other professionals who like to build modern blog or portfolio site. You can choose from 8 predefined colour options or craft your own colour scheme via colour picker. This Ajax powered theme loads content quickly to provide great user interface. 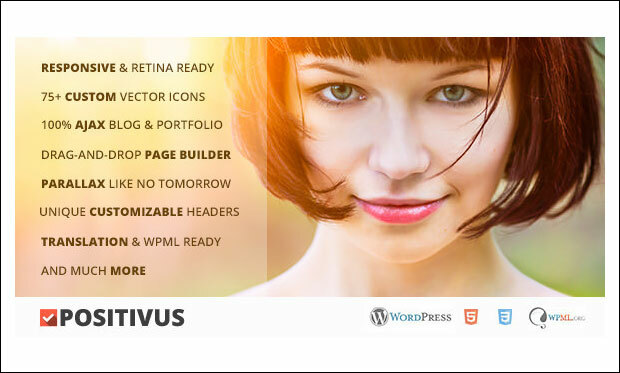 Positivus is one of the best multipurpose WordPress themes available at Theme Forest. You can build multiple page layouts by simply dragging and dropping the elements using powerful page builder. Due to its responsive and retain ready layout, this theme looks fabulous on desktop, tablets, smartphones, android and laptop computer. It is search engine optimized and translation ready. It’s a one page Ajax WordPress theme designed keeping in mind the needs of business, agencies and creative professionals. 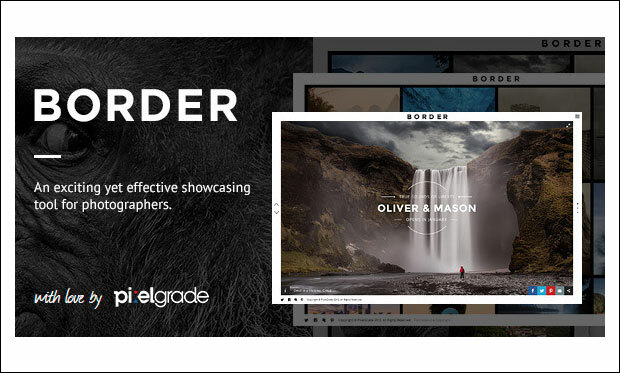 Start creating your own site in less time by using intuitive Ebor template builder. This theme is programmed with valid HTML5 and CSS3 techniques. 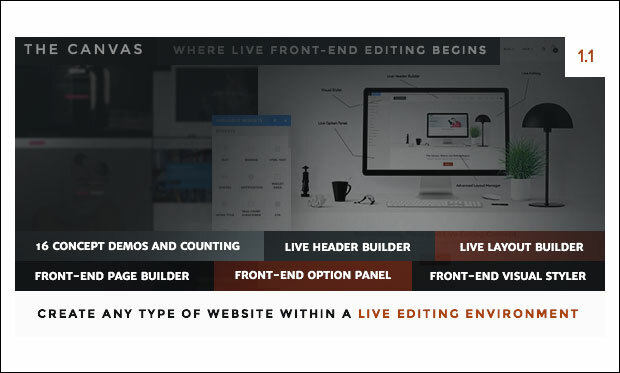 You can change colours, layouts, fonts and widgets and preview the changes in real time via WordPress live customizer. 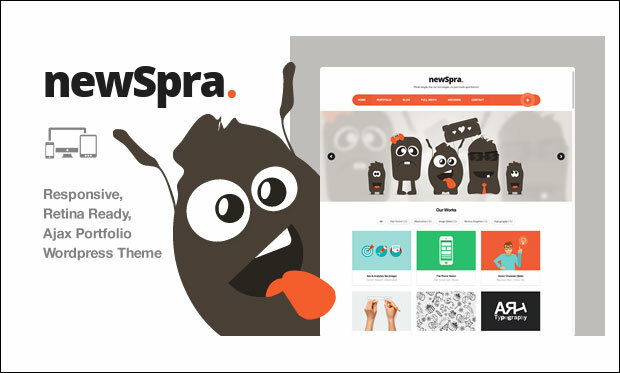 NewSpra is a clean and good looking portfolio WordPress theme featuring responsive and retina ready layout. You can build your own portfolio with or without Ajax based upon your requirement. Give your site a unique look and feel by choosing from unlimited colours and edit the theme in real time. It is SEO optimized for improving your website appearance as well as its ranking on Google, Bing, Yahoo etc. This Ajaxed WordPress theme is coded with valid HTML5 and CSS3 techniques to ensure future web compatibility. You can easily install and setup this theme without worrying much about the coding part. Cafemio theme is suitable for creating restaurant, club, bar, cafe and other niche websites. 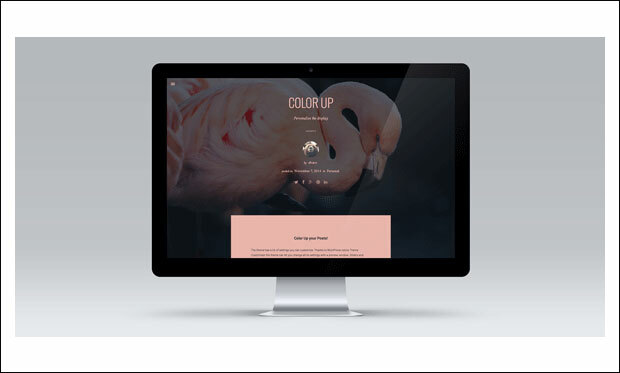 Design your site by creating your colour scheme with the help of easy-to-use colour picker. Based on bootstrap framework, this Ajax based WordPress theme is designed for photographers, freelancers and creative agencies to help them build their own site in no time. Due to its ultra responsive and retina display ready, this theme looks sharp on iPhone, iPad, desktop, laptop and android devices. It includes unlimited Ajax modals for YouTube, Vimeo, slider, services, team, testimonials, contact form, single image, gmap etc. It’s an easy-to-use Photography WordPress theme designed to showcase photographs of landscapes, people, food or weddings in a beautiful way. BORDER theme allows you to include videos from different sources like YouTube or Vimeo in grid image or gallery slider. Import the demo content including blog articles, sidebar widgets, menus and pages in one click. This responsive theme is optimized for all mobile devices and tablets. 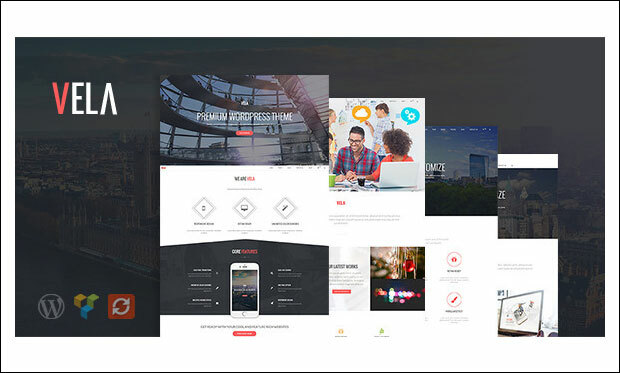 Ego is a stylish one page WordPress theme suitable for building design studio website. This responsive theme provides visitors great browsing experience with its support for touch and swipe actions. 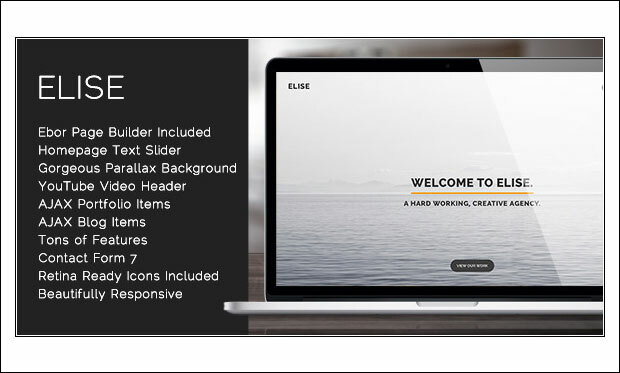 Important features of this theme are fullscreen slider, unlimited skins, flex slider, contact form, lightbox, PSD files and extensive documentation. It is translation ready.